Long-term lead exposure is linked to uncontrolled high blood pressure, finds a new study. Lead accumulation in the tibia was associated with resistant hypertension, according to the study published in the Journal of the American Heart Association. Sung Kyun Park, associate professor, University of Michigan School of Public Health, and colleagues examined the risk of resistant hypertension based on bone lead levels in a prospective cohort study of NAS (Normative Aging Study). Bone lead offers a better method over blood lead measurement to discern long‐term lead exposure and accumulation. Tibia lead levels in the 75th percentile (28.5 µg/g) were associated with 19% greater likelihood (95% CI 1.01-1.41) of resistant hypertension than were levels in the 25th percentile (13 µg/g) in a fully-adjusted model, report the researchers. Overall, though, median tibia lead levels were the same (20 µg/g) among patients with a blood pressure over 140/90 mm Hg on three classes of antihypertensive medications or requiring four medications to get below that level, as for those whose blood pressure was under that level on three or fewer medications. The study was done before the recent shift of resistant hypertension thresholds to 130/90 mm Hg, in line with national blood pressure guidelines. Lead has previously been shown to interfere with systemic and local blood pressure control via the activity of the renin-angiotensin-system, sympathetic system, and vasocontractility of the endothelium. “Laws limiting lead exposure have been on the books for decades, but in recent years it is recognized that lead remains an environmental toxin that is still with us. This likely reflects the long after-effects of historically high lead exposures, which is what shin bone lead partly represents, but it also likely reflects continuing lead exposure from, for example, an aging infrastructure where water pipes in many urban areas are older and contain lead,” Park said in a press release. “Since the lead problems in the drinking water in Flint, Michigan, have surfaced, the issue has become more troubling, especially in older U.S. cities,” he noted. Theirs is the first study to suggest cumulative lead exposure as a risk factor for resistant-hypertension development, the authors said. Lead levels in bone were measured non-invasively with K-shell X-ray fluorescence spectroscopy. Bone lead accounts for approximately 85% to 95% of the total in the body, according to the investigators, whereas blood measurements represent only 5% to 15% and offer insight into short-term exposure and toxicity. Not surprisingly, blood levels of lead weren’t significantly associated with resistant hypertension in the study. But neither were levels in the patella, which the researchers chalked up to lower measurement precision due to comparatively less bone mineral density than in the tibia. The retrospective study relied on data from the prospective Veterans Affairs Normative Aging Study, which followed 2,280 men who had been enrolled from the Boston Veterans Affairs health care system in 1963. Park’s group focused on the 475 people with hypertension or on antihypertensives who had sufficient data available (mean age 68.2 years). 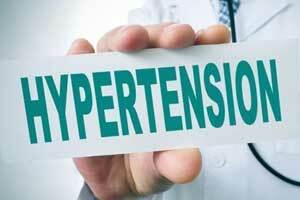 One in five had resistant High BP. Generalizability of the data might be limited by the predominantly white group of men studied. Another limitation to the study, the researchers acknowledged, was the lack of ambulatory blood pressure monitoring for accurate classification of resistant hypertension. Future studies will focus on whether lifestyle modification such as calcium intake or physical activity can mitigate the observed relationship between lead and resistant hypertension, Park noted.